The perfect combination of traditional design with modern features, this 100cm wide range cooker from Rangemaster looks amazing with bevelled doors and towel rails. 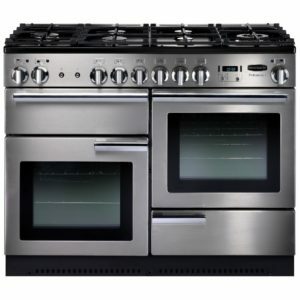 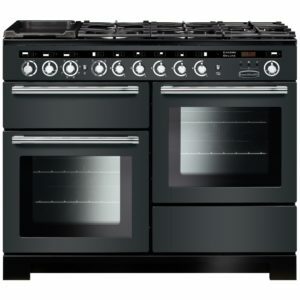 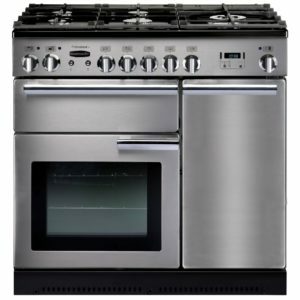 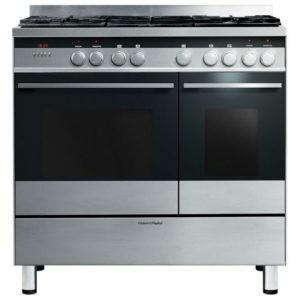 Finished in white with brass trim, it’s not just attractive but full of fantastic cooking options, such as the main multifunction oven and secondary electric oven, glide out grill and impressive five burner gas hob. So whether you are warming soup, baking bread or making a full roast dinner there are plenty of options available!